Daisaku Ikeda, Buddhist Philosopher, as quoted by Trevor Faure. Trevor Faure, self-defined as ‘part-translator-part-interlocutor’ between the legal and performance improvement professionals, has in the form of the recently published ‘SMARTER Law’ also created a manual of self-improvement and professional revelation for the legal business development (BD) and marketing community. In-House Community™ has known Faure for over six years and in light of the fact that Faure sincerely practices what he preaches regarding personal change, adaption and self- management, presented him with the In-House Community Achievement Award in 2018. An aside – I will put this more bluntly than Faure: if you want partners to listen to you, have something useful to say. Especially if it is something new and something useful for the firm’s clients. Now here comes a Mea Culpa: I will admit that it was an In-House Community plenary session discussion in Singapore in 2015 which comes under Faure’s withering eye (page 401 – Chapter 11, Modernising Business Development) and at which he was invited to be our Key Note Speaker. 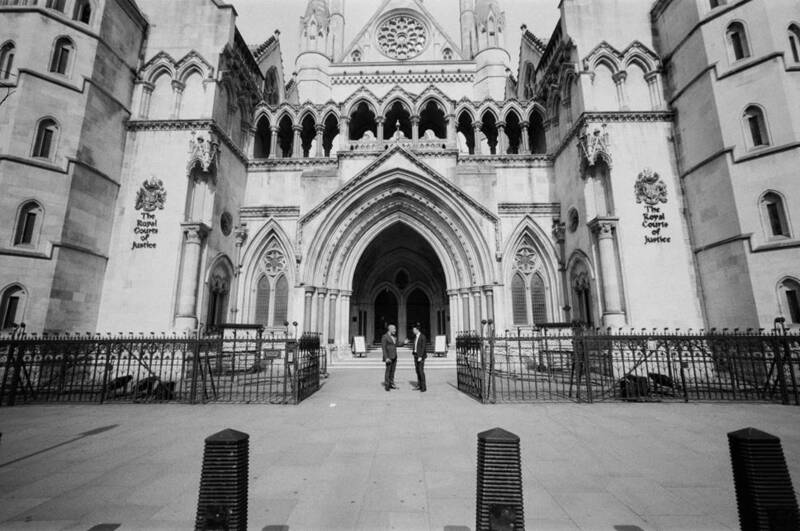 The discussion under scrutiny looked at the relationship between law firms and in-house counsel – a topic which as Faure notes proved largely irrelevant to the assembled two hundred in-house counsel. I listened at the time to him and from that point on we actively gathered from the in-house community the challenges that they shared and from this re-formulated our plenary sessions to engage and attempt to solve some of those challenges directly; an engagement that continues to this day. As an organization and as individuals, we learned from Faure’s advice and just as importantly, from his example. We also learned that what was top of mind for the managing partners of law firms was not what pre-occupied in-house counsel; we learned what was actually top of mind for in-house counsel and shared it among both the in-house and private practice communities (and the BD folk that take an active interest). We learned and we changed. I think that is the point. For those BD professionals that did not take the opportunity to put into practice what Faure shared in 2013 at an American Lawyer Retreat he refers to on page 401 – 405, then here is your chance of a refresher as everything (well, almost everything) is within the covers of Faure’s new book. 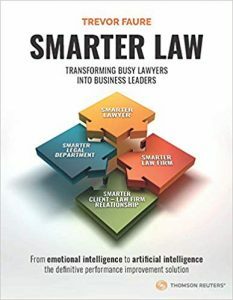 Therefore, we can prove from personal experience that “SMARTER Law” proves essential reading for anyone involved in the legal industry: in-house counsel lawyers, private practice lawyers and also BD and marketing professionals. Those readers familiar with ‘The Smarter Legal Model: more from less’ which Faure published in 2010 will recognize some old but crucial friends in the new book – including the essential ‘Defining and measuring coverage’. 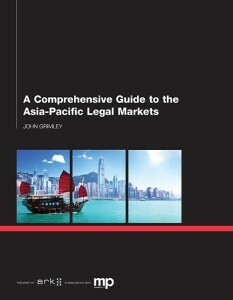 This can be so easily adopted by a law firm marketing and business development department that I urged a Hong Kong-based APSMA (now ICON) group of 50 or so professional services professionals in 2015 (and if you have adopted the process of agreed coverage with your partners please do let me know). After all, the marketing and BD function sits inside the law firm in a similar manner to the traditional In-House legal department and its position within the corporation. In the new, smarter ‘SMARTER Law’ edition, Faure has added a great deal on the personal transformation aspect of his work – as well as the highly relevant Appendix section which includes not only the Business Development chapter mentioned above but also various Workshop skeletons, including Compliance. The Appendix alone demonstrates his depth of experience in all relevant matters appertaining to the business of law and commercial law itself. It also includes helpful and revealing (but not too revealing) client case studies, including Walmart, Tyco and my personal favourite, Alvis. Given the scope of the book, I have decided to split this Review into 2 parts, and in this part I will start with the provocatively titled: “What’s wrong with law firms?” which opens Section C: The Smarter Law Firm. Starting from the premise that few of us can fail to agree with – that both lawyers and clients are unhappy with the contemporary law firm – Faure homes in on the problem of the current partnership model with surgical precision and argues for a new structure along corporate lines that embraces permanent equity as a viable solution. Thus, the many-headed Hydra of short-termism, eat-what-you-kill compensation, lack of team work, under-investment in training and technology and in cyber-security protection, would be felled with one swoosh of the blade of permanent equity. And yes, as will be demonstrated, there is truth in what Faure argues. But permanent equity has not proved to be a panacea for the modern corporate, as the financialism of practice as done by the likes of Peter Green of BHS can attest: the manipulation of share holder value and those that hold those shares lies at the heart of our present unequal society, as argued by many, including Mariana Mazzucato*. That said, there does not yet exist a better alternative. The modern Western capitalist system would not have evolved to be so dominant without the Dutch and their invention of the joint stock company in the eighteenth century. The inability of Turkey and other countries in the Middle East to modernize effectively and compete in the late nineteenth century have been leveled at the fact that they lacked a viable capitalist system where equity could be leveraged and hence their governments got saddled with unpayable debt. Faure’s solution of providing senior lawyers with a permanent stake through an equity model would certainly combat one of the most alarming manifestations of the current partnership structure, which is manifested because a partner’s equity draw disappears on their retirement. I have coined the phrase ‘The Mick Jagger Syndrome’, which on reflection is probably too flattering. When told that the emerging acts of the ‘90s such as White Stripes’ were destined to earn less through the changes to the music industry and royalties brought about by Spotify and its ilk, Mick allegedly answered sardonically: “My heart bleeds”. And senior partners – even managing partners – in their cups have sighed and said: “Well, when all is said and done – only a couple of years to go before my retirement and then it becomes somebody else’s problem.” Permanent equity would diffuse this problem. In addition, an equity-based solution provides an instrument for investment. Other non-partnership legal providers obviously have an equity structure and are able to invest much more of their revenue into technology and marketing to support the expansion of their business. Further, a different type and level of person with different skill sets would be attracted to working for law firms and would be provided with more latitude and trust to market more effectively to clients. Penultimately, it would help retain legal talent. For younger lawyers, the incentive towards a permanent equity structure is obvious as the longer she remains at the firm the more vested she becomes. Finally, it would also help drive the nail into that great zombie in the room – the billable hour. As Trevor succinctly puts it, hourly billing poses great challenges for the client’s financial projections and also (potentially) rewards inefficiency. Law firms would also have more to say about themselves as good employers than their AmLaw 100 rankings – the demise of which can only be a blessing. In short, a permanent equity structure would be transformative and provide the law firm with a level playing field to their competition in the non-law services provider camp, as well as providing a platform for law firms to be truly global. Commentators, including myself, have ruminated at some length on the symptoms which have resulted from the present partnership structure. For example, tinkering about the edges with a more client-aligned compensation structure goes some way. 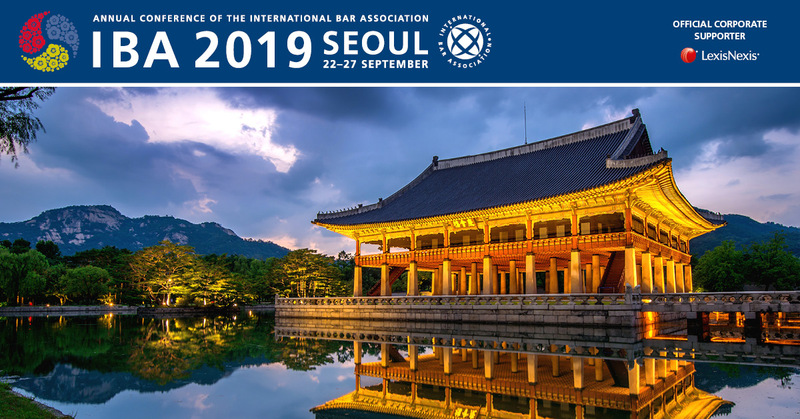 But the legal industry should be thankful to Faure for correctly identifying the cancer at the heart of the international law firm profession – the present partnership structure itself. The Financial Times journalist Gillian Tett recently used the example of the spike in subprime auto-loans to illustrate that economists missed the subprime mortgage collapse leading to the Global Financial Crisis because their economic models assumed that consumers would behave in the way that the previous generation of home owners had done and protect their housing asset before all else. “Most economists missed the financial crisis since their models assumed that the future (and the present) would behave like the past”. With record results announced recently for magic circle firms regarding partner pay even during Brexit, it would be easy to assume that the future will continue in the same manner as the present and the past. However, Faure identifies that there is a discontent with private practice law firms from both the lawyers’ as well as the clients’ perspective (let alone anyone else who is not a lawyer but works within the law firm – it is perhaps telling that nobody has thought to ask them). It is in my view very risky indeed to assume the future will look like the past for private practice law firms. Especially so when one considers how new model firms such as Axiom are exponentially growing in terms of revenue and ambition (45% growth year on year and with a revenue per year of US$340 million). Since risk aversion and the prediction of the future lies at the heart of the private partnership value proposition, I say ‘Physician – heal thy self!’. Faure’s book represents a prescription, but it is up to the profession to take the cure. For more information on SMARTER Law, contact Lana Gersten at lgersten@groupgordon.com. *’The Value of Everything: Making and Taking in the Global Economy’, Mariana Mazzucato, Allen Lane.